Reactor 3, the vertical "covers" look a lot like just a visual barrier, seems odd. You can also see the equipment pool reaching all the way to the outside wall. Why don't they just lift up the cap and peer in there with a camera? Meltout through bottom of reactor, corium steaming away in water, layer of steam bubbles surrounding it. Hydrogen explosion in main building, compressing steam bubbles to liquid, that creates the sharp increase in reactivity necessary to trigger the Prompt Moderated Criticality. There, fixed it. Also keep in mind, they spend 10s or even 100's of million to cover things up with visual screens just so we can't see them….what else would they do on an agenda? 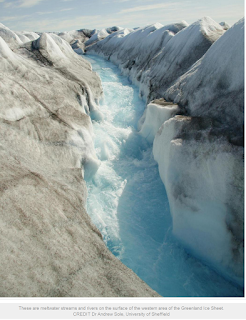 Ice in Greenland, look at how sooty it is, looks like snow after 10 meltdowns in a big city it's so dirty. Some say Greenlands ice is increasing last 4 years, others say it's not melting as quick as they thought. Unit 4 is on the left. Unit 3 is on the right. That should be "Now" let's zoom in on Unit 3. Unit 3 after removal of roof ruins. The Reactor did not blow up. Or else, the insides of the containment vessel would have been damaged. But the inside of the containment vessel is intact. The videos show that even delicate pipe runs, and even a light fixture, remain intact. The Spent Fuel Pool did not blow up. What caused the Unit 3 explosion? 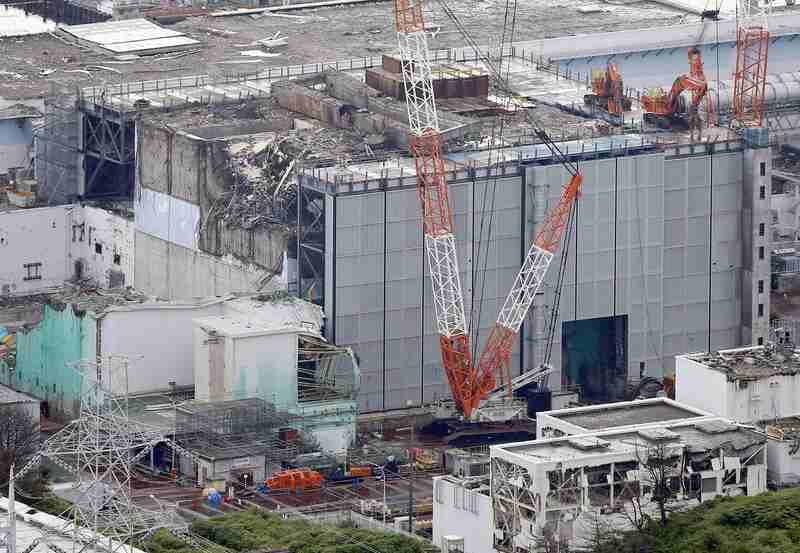 Unit 3 explosion did NOT originate in the spent fuel pool. If water submerges to 35%% of the total rod length; Annealing can take place weakening the structural integrity of the fuel cell, Allowing pellets to escape from a central point, as well as in any point which "cracks" including the rear (bottom) of the fuel cells. They will not show signs of damage from the top of the fuel cell because these handles are made of steel, not zirconium. For all we know the entirety of the Fuel pellets are located at the bottom of the fuel pool, While each and every fuel rack would appear undamaged. Its not to say this is what I think happened; As With reactor 3 there was an obvious nuclear detonation which came from the core. Just to say that the photo only proves a fuel rack is present. (however its mechanical integrity is completely unknown based on the science involved. Its like a double a battery that leaked 30 years ago. It will still look like a battery. However it will not produce power. The reason we know it was a core incident is because MOX rods were found on site between reactor's 3 and 4. Which were ejected directly from the core. This is in addition to the 10+s/hr readings that were present on site shortly after the event took place. They also found fuel cell fragments disbursed off site. (some 175 meters away). 3 was the most "visual" detonation in the incident; (in respects to unit 4's footage being witheld to date). While 4 is 'suspected' of putting on a secondary show, which was equally / visually reported to be significant. As there were two actual explosions reported by citizens from this unit during the crisis. (however that footage is again "missing"). Reactor 3 was highly pressurized from the buildup of hydrogen within the primary containment vessel. due to the buildup its likely that tepco attempted to "vent" the primary containment vessel (or even potentially were trying to manually remove the fuel load). However something caused the hydrogen to ignite, which led to the domed lid of the primary containment vessel to uncap itself. 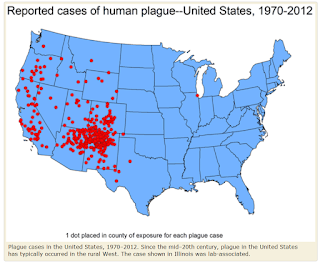 Arnold Gunderson was the first person in mainstream media to point out the loose cap. 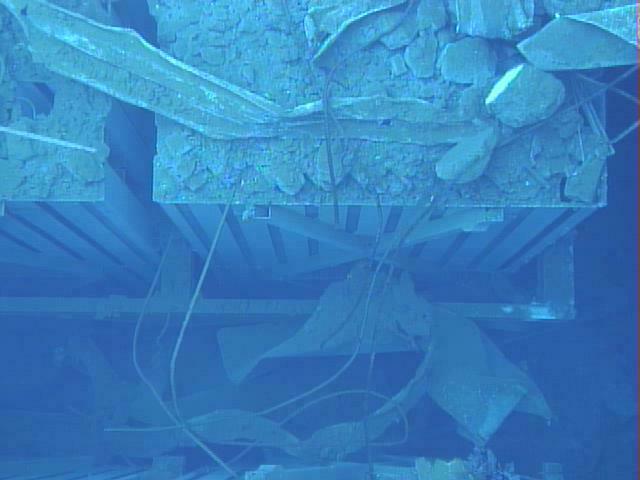 (via tepco footage). Showing a direct stream of steam ejecting from the primary core unit itself. 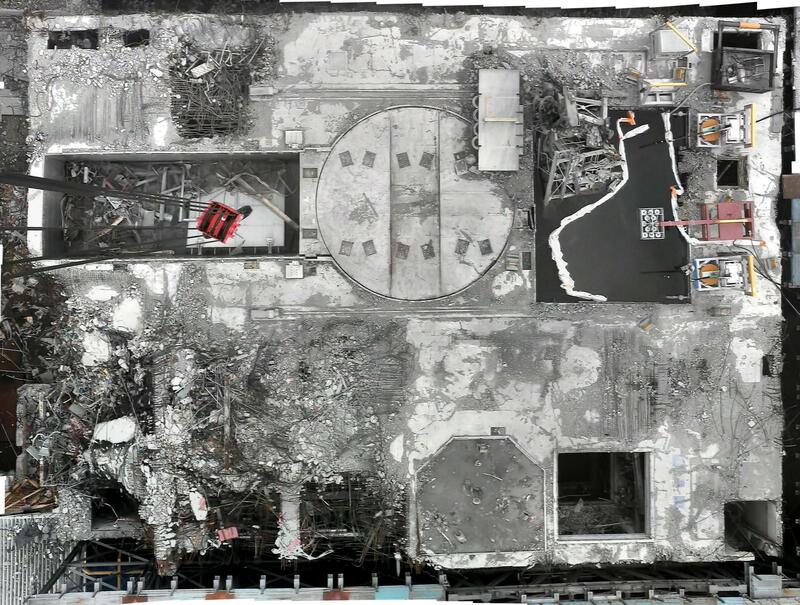 Essentially reactor 3's core unit melted down causing the initial explosion. Which is reversed from reactor 4's incident. (which was a fuel pool / meltout). PUN we KNOW that amount of uranium in air at something like 3000% over background levels, over the whole Pacific, from Saipan, Guam, Hawaii, California. The only way that amount of uranium could get so aerosolized is a blast from below, or perhaps looked at as a blast from within.